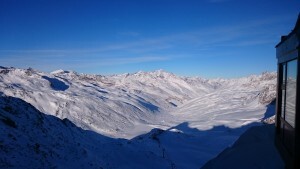 The Schnals valley in ItalyOur first family skiing holidays! I didn`t have skiing holidays for decades and my 10 year old son never stood on skis. 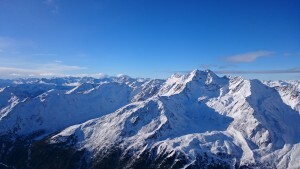 That`s a shame when you live near the Alps and your grandfather has been one of the first skiing instructors in Austria! 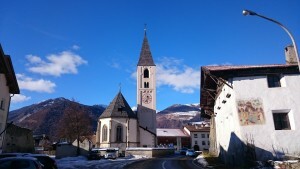 Last year my eldest son found a very interesting destination in South Tyrol, Italy. The description and pictures were stunning: a hotel at the top of the mountain! It`s no luxury resort, so it was affordable. 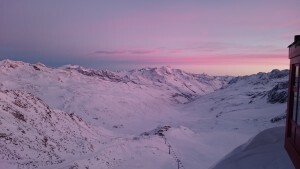 At January 3rd we (son, daughter and me) started our journey to winter-sports-land! On the way, after crossing the alps, we stopped at the Lake Resia, a storage lake, planned by the fascist regime in italy in the early 20th century and completed after WW II in 1949. 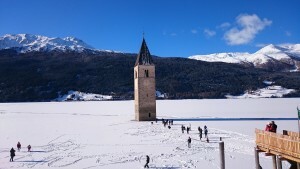 Some villages were resettled and one church tower from the 13th century remained and is now situated in the lake. When we arrived, the lake was frozen and covered with snow, many people walked around and had fun taking pictures and playing in the snow. So did we. Afterwards we travelled the valley called “Vinschgau” where wine and apples grow (of course not this time of the year:)) and many picturesque castles and citadels are located on the mountain slopes. Our destination Maso Corto is at the end of the narrow Schnals valley. 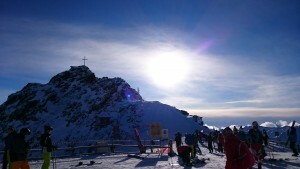 After leaving our car in the garage we took the cable-railway up to the Glacier Hotel Grawand in 3.212m. 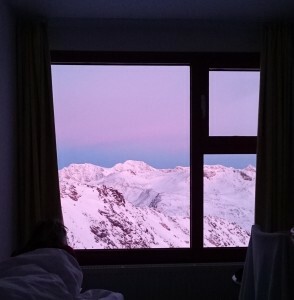 The view from our room was stunning! 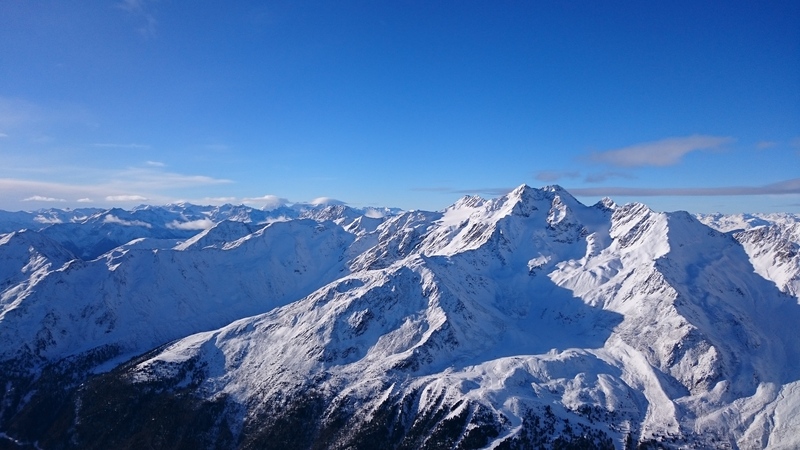 Chains of mountain tops covered with snow and a beautiful blue sky. Soon we noticed the first symptoms of the height: the blood beating in our heads. The first night we didn`t sleep very good, but then it was getting better. The skiing area is nice, not too crowded. Skiing school has very friendly ski-instructors and so were the men at the ski-lifts: friendly and helpful. Quite sad we watched the last sunrise after three days.